Do you have any say about tomorrow’s headlines, whether in a newspaper or online? 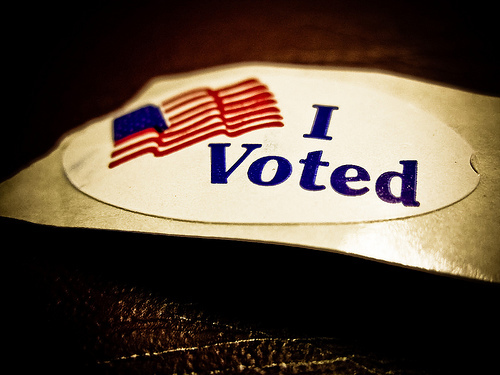 Did you know that you can influence the outcome of an election simply by getting to the polls and voting? Yes, your single vote can and will make a difference this year. If you have followed the news this past year, even in a casual manner, you know the November, 2016 presidential election is a heated battle and one whose results may have worldwide effects. Since the President of the United States is regarded by many as the most powerful office in the world, whoever holds that office shapes our future as well as the global balance of almost two hundred countries. This is not the time to ignore an election as politics as usual. There is nothing “usual” about this election season. Our future is at stake and you have a say in its outcome. For more information about participating in our democracy through the voting booth, take a look at Judge Tom’s new book (with his daughter, attorney Natalie Jacobs), “Every Vote Matters: The Power of Your Voice, from Student Elections to the Supreme Court” (Free Spirit Publishing, 2016).